In 1869, James Tissot began contributing political cartoons to the newest Society journal in London, Vanity Fair, founded by Tommy Bowles. His gallivanting in London in the 1860s is astonishing; countless journeys on foot or horseback in a city with no asphalt and also laden with manure. Yet he was always elegantly turned out and a welcome guest in Society. He was on friendly terms with many charming ladies in Society and on stage. He was very attractive, and his looks and distinguished bearing fluttered many women’s hearts. When in his twenties, women found him irresistible. Tommy, who liked sports, the theater, all-night parties, elegant clothes and living above his means, was not cut out for civil service (he called his office a “Haven for Sickly Youths”). He earned £200 a year, and his rent was £110. He asked his father to help him with his rent and to find him a more suitable position. Meanwhile, Tommy met Algernon Borthwick (1830-1908, later Lord Glenesk), editor of the Morning Post, to which he began to contribute articles. He also wrote articles for the Owl (enjoying the distinction of working with its prominent editorial board members), the Glow Worm (an evening newspaper mixing politics, satire and Society gossip) and the Tomahawk, a satirical magazine like Punch, except that it included “daring” full-page cartoons. But by 1866, on his own initiative, Tommy was writing a daily column for the Morning Post. On September 28, 1866, he left his job at the Board of Trade. 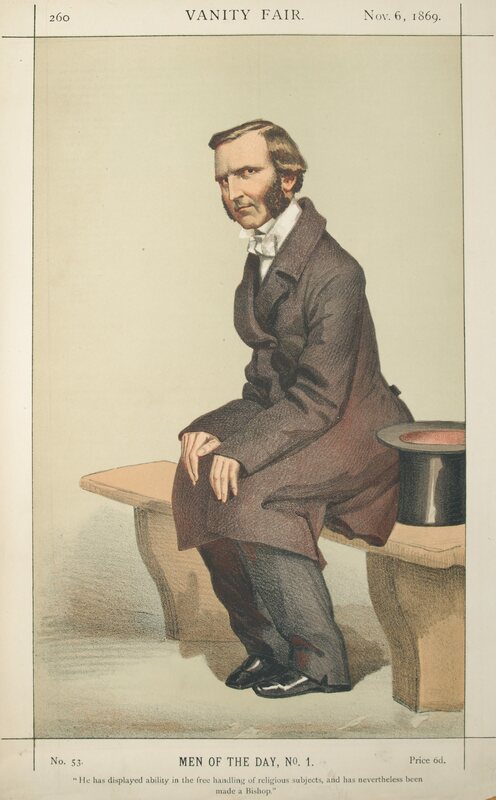 After borrowing £200 (half from his larger-than-life friend Gus Burnaby, a dashing officer of the elite Royal Horse Guards) Tommy started a new Society magazine, Vanity Fair, which débuted on November 14, 1868 at sixpence a copy. Burnaby, a member of the Prince of Wales’ set, suggested the name and contributed articles. 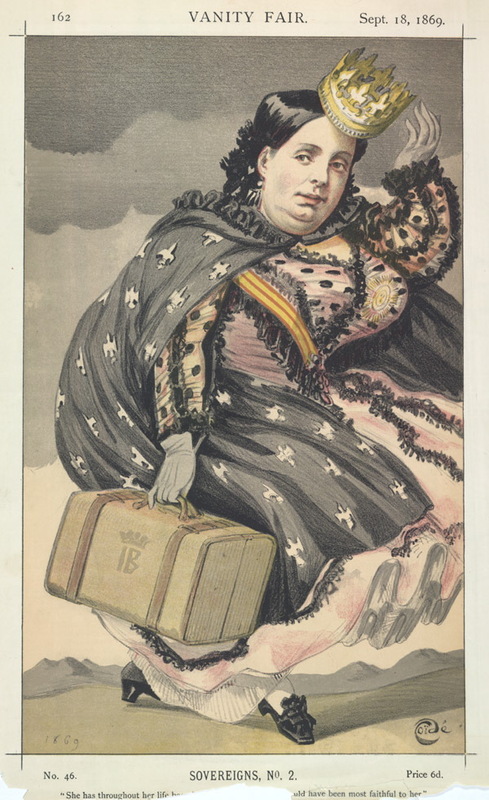 By February 1869, when Tommy began to feature the novelty of a full-page political caricature in color in each issue, the magazine became increasingly popular. The process of color lithography was undergoing technical innovations, and the reproductions were quite expensive to publish. Tommy first paid Italian artist Carlo Pellegrini (1839 — 1889), under the pseudonym “Ape,” to draw caricatures for his magazine. Pellegrini proved difficult to work with, and French artist James Tissot began to contribute in his place, under the pseudonym “Coïdé.” [Bowles most often used the pseudonym “Jehu Junior,” Jehu being an Old Testament prophet and warrior “who pronounced the downfall of his enemies and then proceeded to destroy them.”] Tissot, unlike Pellegrini, was trained in lithography; he turned in meticulous work in bright colors and brought a new, higher standard to Vanity Fair’s cartoons. 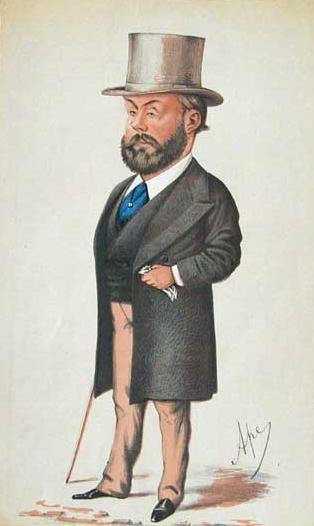 At any rate, by September 1869, Tommy Bowles was paying Tissot to provide caricatures for Vanity Fair. Tommy, who gave himself a salary of five guineas a week, initially paid Tissot ten guineas for four drawings. Within a few weeks he increased Tissot’s compensation to eight pounds for each drawing: circulation had skyrocketed. 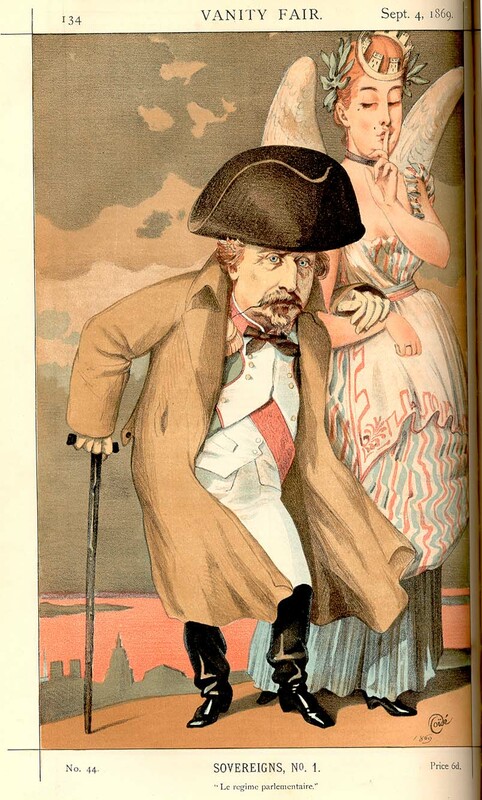 Tissot’s first subject was Napoleon III, whom he skewered. Other 1869 subjects included the Queen of Spain, King of the Belgians, Emperor of Russia, Sultan of Turkey (Abdul Aziz), Rev. F. Temple, D.D. [Bishop Designate of Exeter], Earl of Zetland, K.T. and the Archbishop of Canterbury. Within a year of its inception, Vanity Fair was on a sound footing. He [Bowles] had infallibly reliable cartoonists in Tissot and others, steady Society gossip, and the ability to dash off knowledgeable articles on a variety of subjects. Within a few years, Vanity Fair was a smooth running business rather than an adventure. 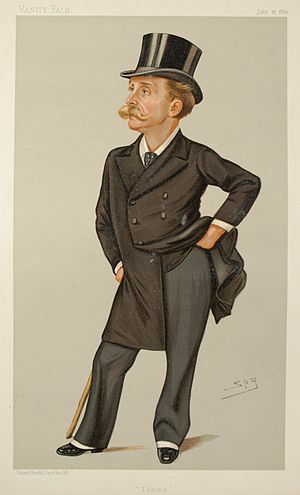 Tommy Bowles knew that James Tissot’s impeccable work was materially contributing to the success of Vanity Fair. It all must have been quite a lark for the two stylish, handsome and ambitious young gentlemen who loved the good life. Fortunately (and despite Tissot’s clear vision of Napoleon III’s precarious position as Emperor of France), they could not foresee where they would be in exactly a year. This entry was posted in Art blog, Art History, Impressionists and tagged James Tissot, Thomas Gibson Bowles, Vanity Fair on January 21, 2013 by Lucy Paquette, author of The Hammock: A novel based on the true story of French painter James Tissot.